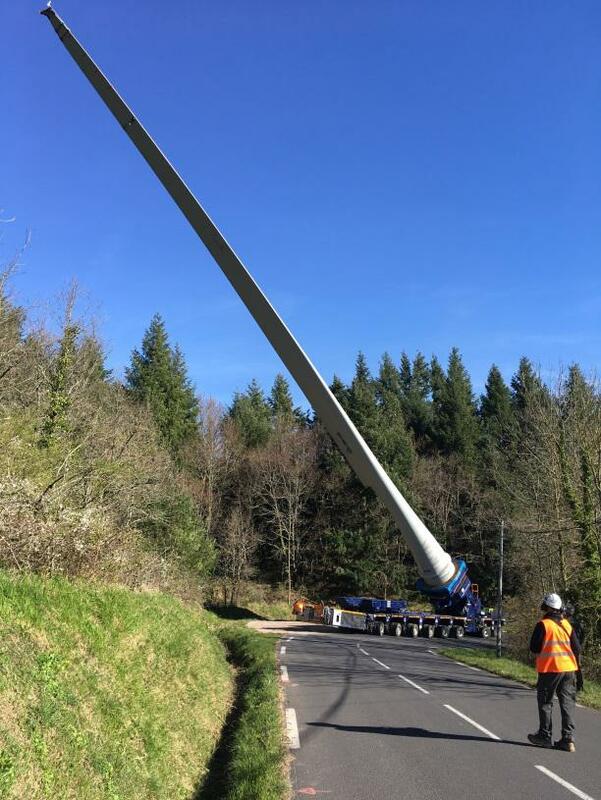 In the South of France, wind turbine blades with lengths of 40 metres have recently been transported along an 11km long mountainous route. 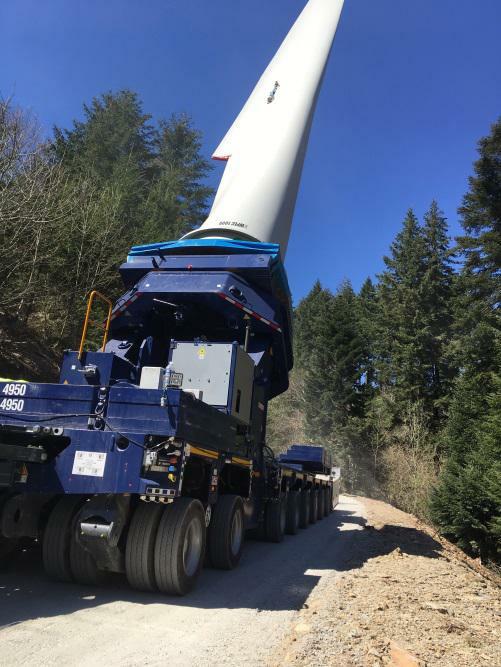 The rotor blade was mounted on a quick-release plate and could be raised up to an angle of 70° as well as being swivelled and rotated on its own axis. 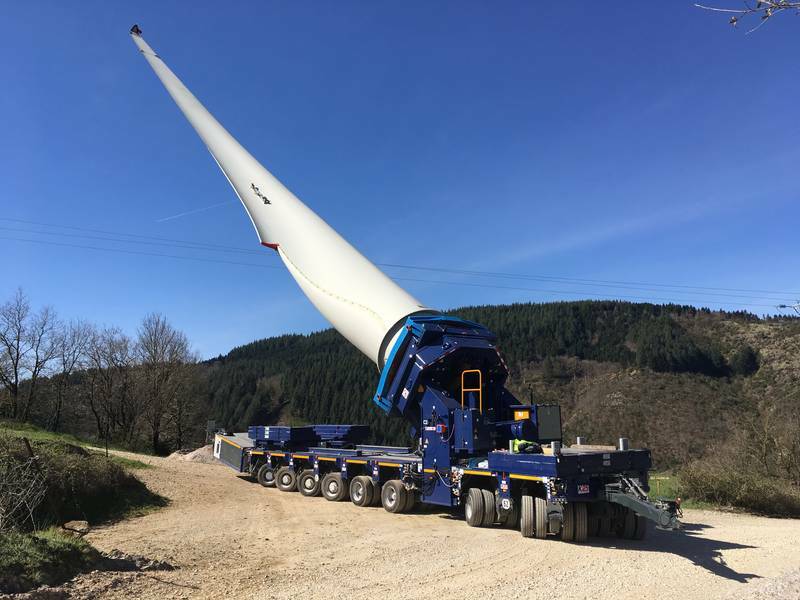 As a result, all the required rotor blades could be brought successfully transported to the remote final destination with the extremely manoeuvrable, self-propelled combination.